Your body needs dozens of different minerals and trace elements to remain healthy. This fast-absorbing liquid supplement provides some of the most important...and it does so in amazing fashion. 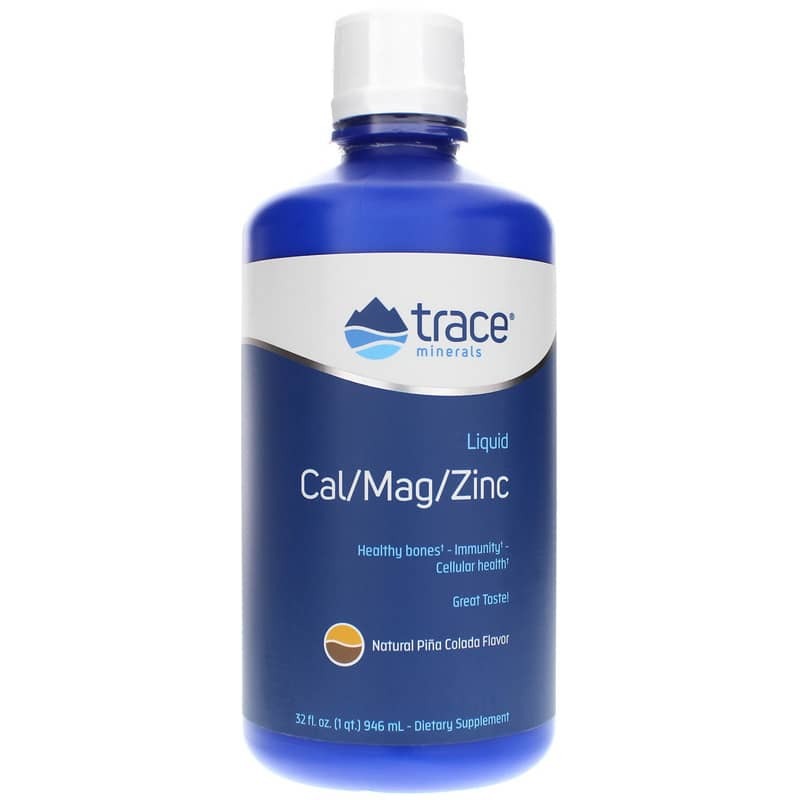 Calcium-Magnesium-Zinc Liquid from Trace Minerals Research features Ionic Trace Minerals Complex. 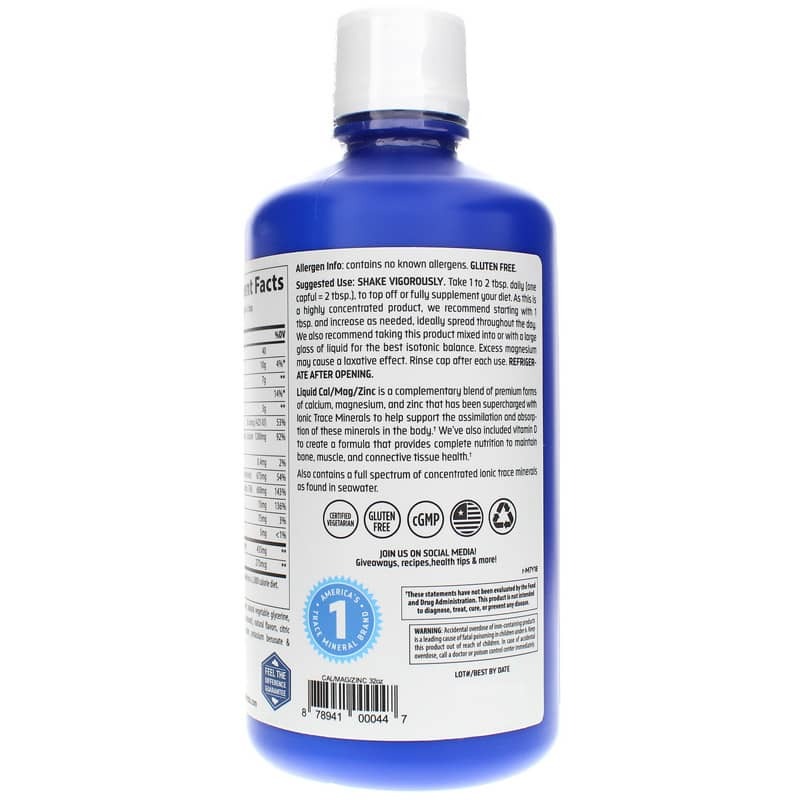 Ionic Trace Minerals Complex are ionically charged liquid minerals. They absorb quickly because they are in liquid form. The fact that they are ionically charged allows them to help your body increase the absorption of other nutrients. 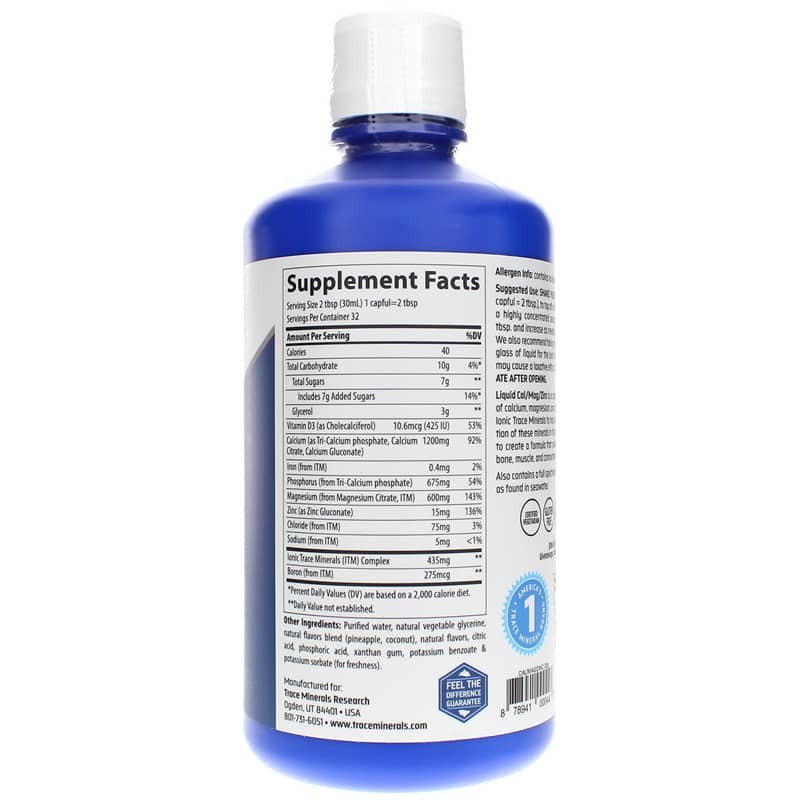 Bottom line - this is an exceptional way to support the health of your bone, muscle and connective tissue. You can use this product to top-off or fully supplement your diet to make sure you're getting those essential minerals. Besides healthy bones and muscles, calcium, magnesium and zinc also play a role in generating energy. Look for that added benefit in your daily life! Try Calcium-Magnesium-Zinc Liquid from Trace Minerals Research today. Other Ingredients: purified water, natural vegetable glycerine, natural flavors blend (pineapple, coconut), natural flavors, citric acid, phosphoric acid, xanthan gum, potassium sorbate (for freshness). Contains NO: gluten. Certified vegetarian. Adults: Shake vigorously. Take 1 to 2 tablespoons daily (one capful = 2 tablespoons), to top off or fully supplement your diet. As this is a highly concentrated product, we recommend starting with 1 tablespoon and increase as needed, ideally spread throughout the day. We also recommend taking this product mixed into or with a large glass of liquid for the best isotonic balance. Excess Magnesium may cause a laxative effect. Rinse cap after each use. Refrigerate after opening.